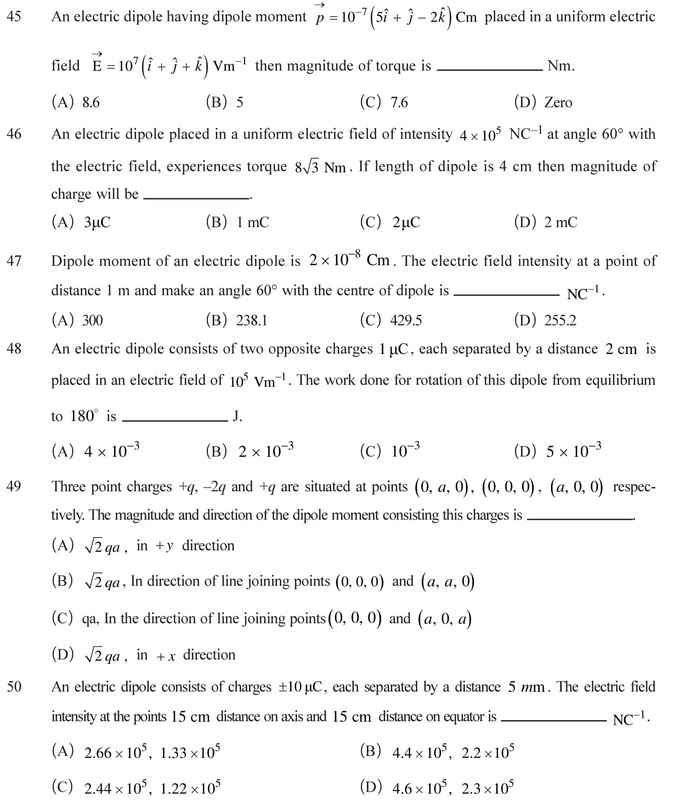 NCERT Solutions for Class 12 Physics Chapter 1 Electric Charges and Fields in PDF form English Medium based on new syllabus to free download. 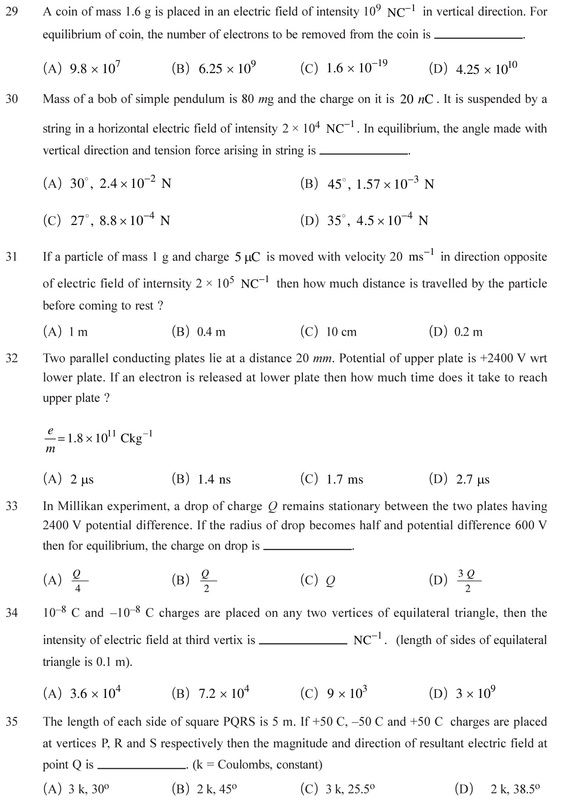 NEET, JEE Main and other competitive exams questions for practice are given below with answers. 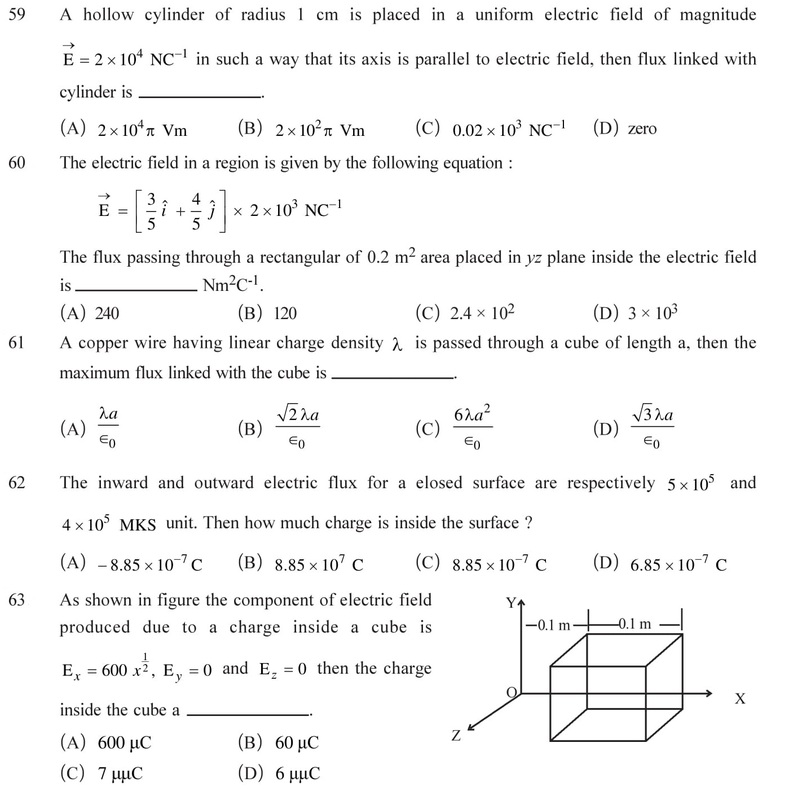 Download NCERT Solutions for Class 12 Physics Chapter 1 Electric Charges and Fields in PDF form through the links given below. The questions given below are based on competitive exams like NEET, JEE Mains and Advance, GGSIPU, BITS and all other exams. 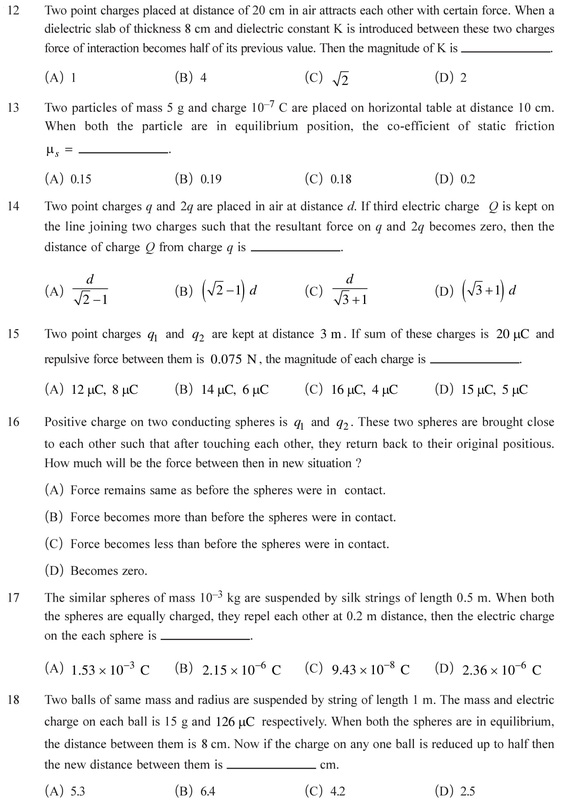 Answers of the questions are given at the end of the page. 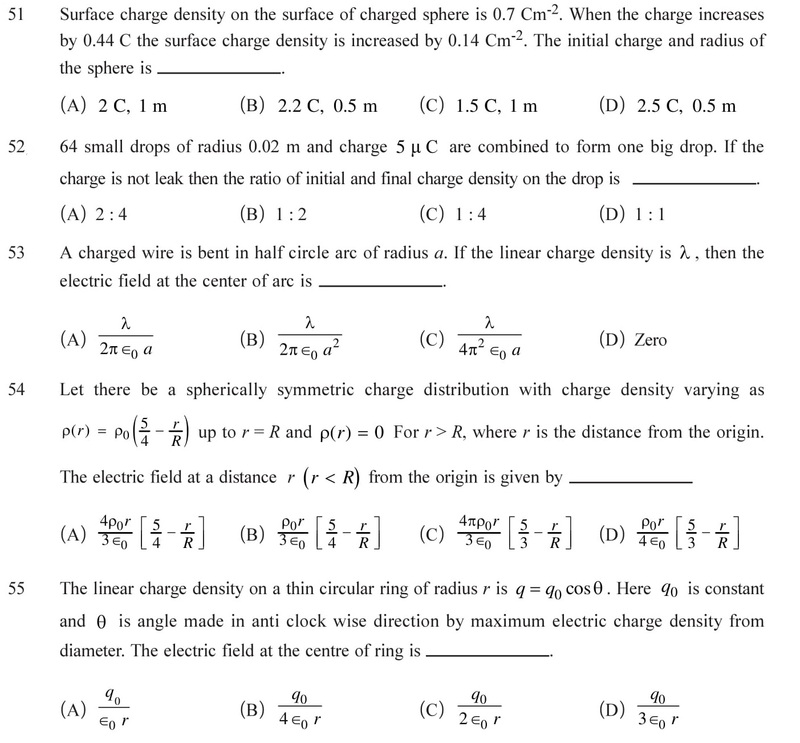 The following questions are based on Electric Charges, units of electric charge and relation between them, quantization of electric charges, conservation of charges, electrostatics induction, etc. 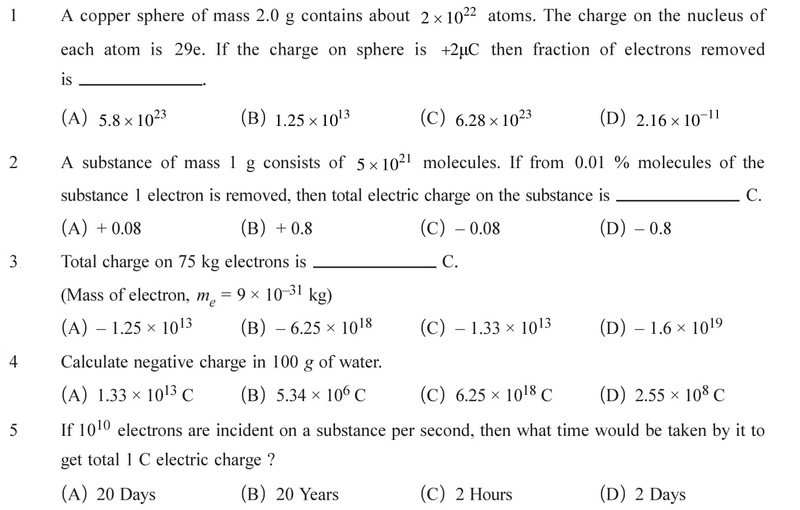 See Answers. 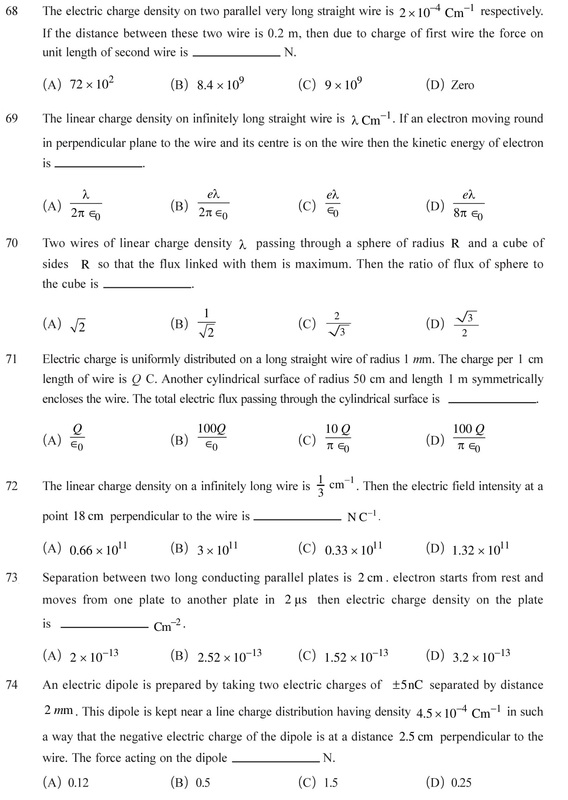 Questions based on Coulomb’s law, Dielectric constants, null point or neutral points due to a charge or combination of charges, principle of superposition, charge densities (linear, surface and volume charge densities), etc. 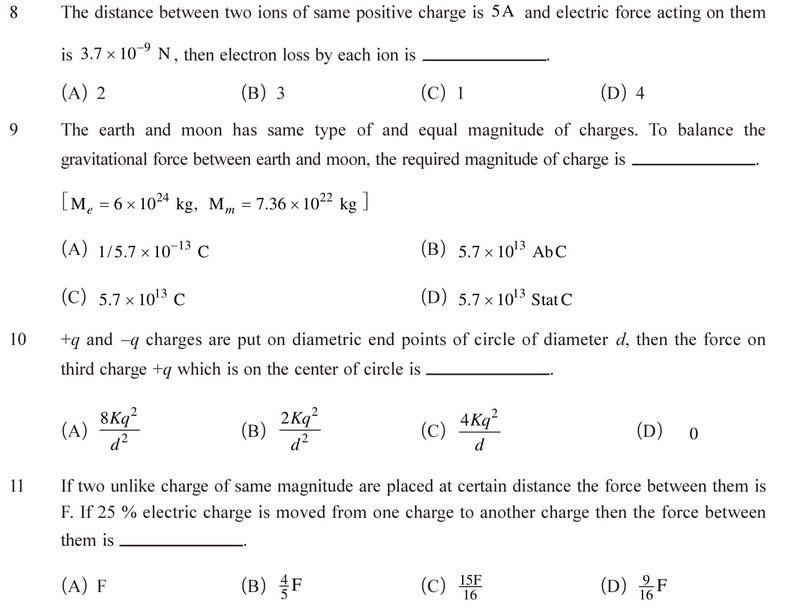 See Answers. 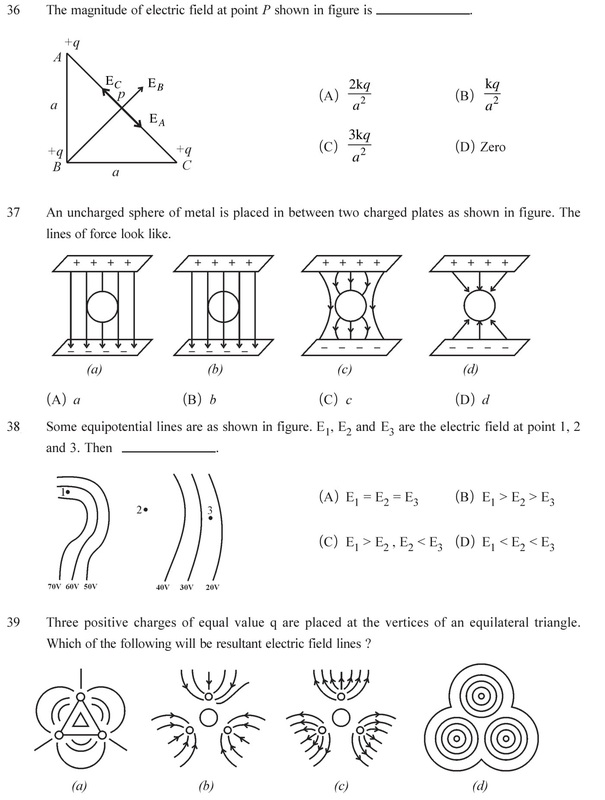 Questions based on Electric field, Electric field intensity, field due to a point charge, Electric field line and its characteristic, etc. 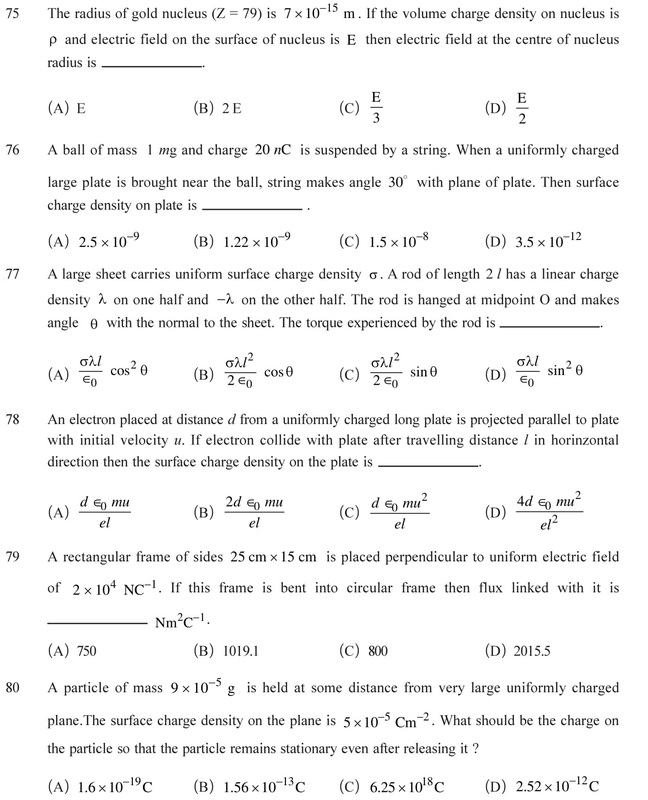 See Answers. 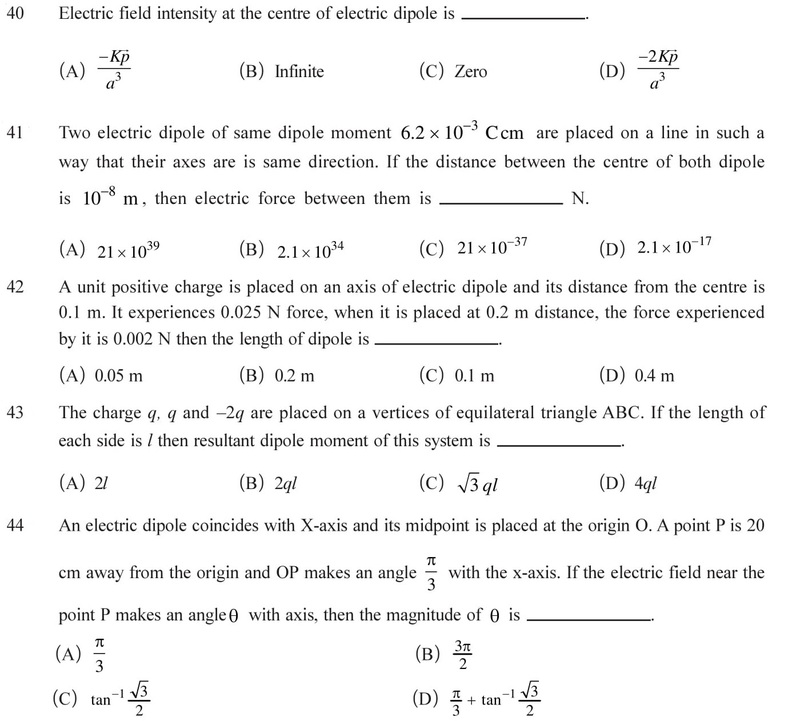 The following are based on Electric dipole, Electric field due to a dipole – on the axis, equatorial point, work done by dipole in uniform electric field, etc. 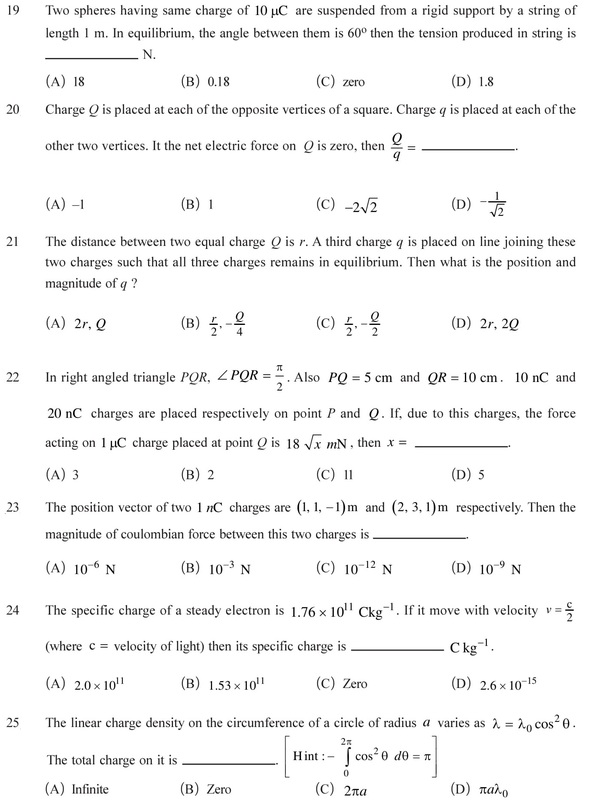 See Answers. 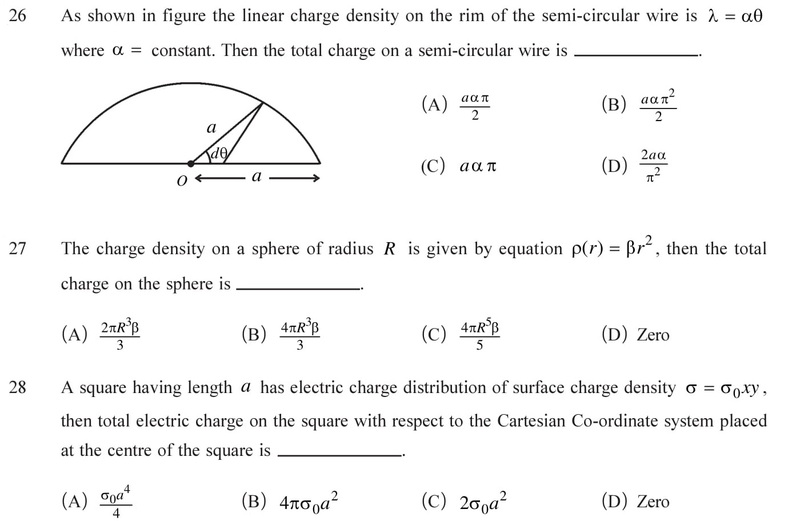 Questions based on continuous distribution of charges – linear, surface and volume, application based on circular loop and due to a point charge. 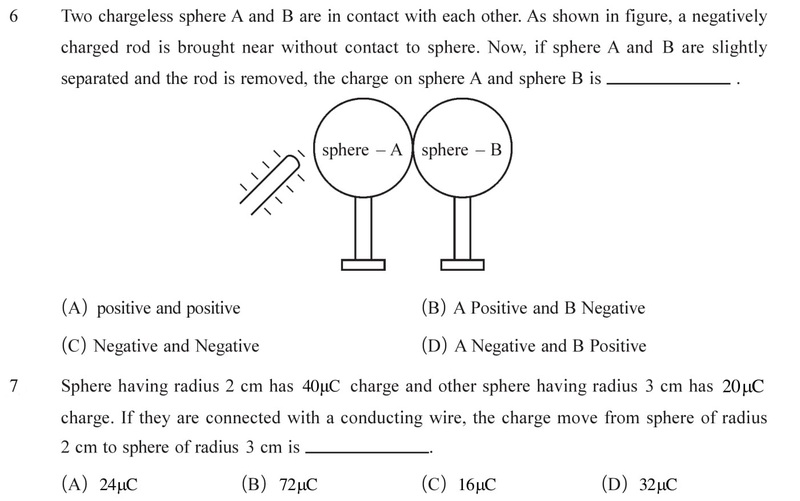 See Answers. 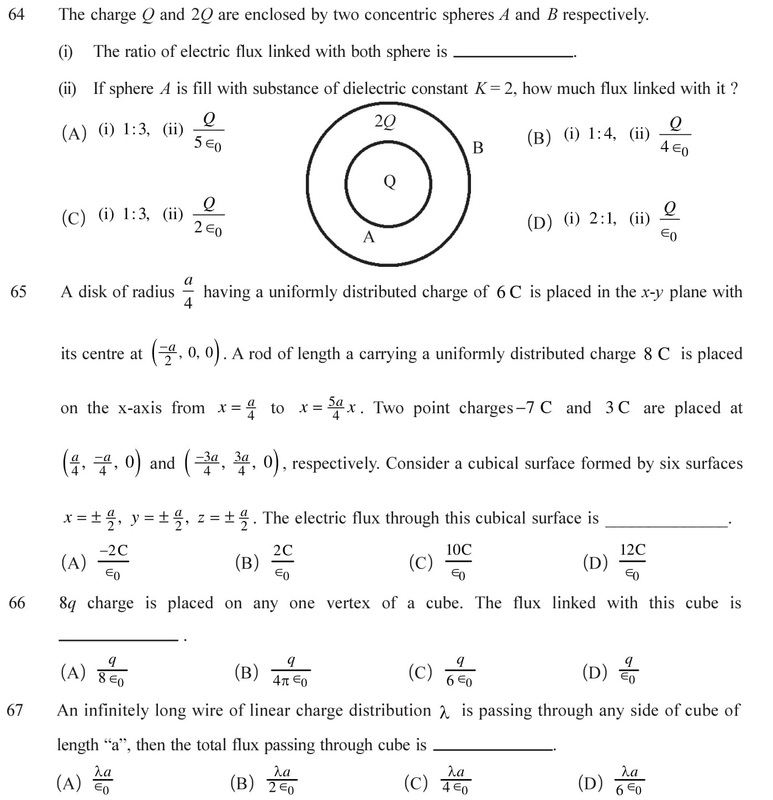 Following are the questions based on electric flux, calculation of flux in various cases, Gauss’s law and its applications for a point charge, infinite sheet and shell. 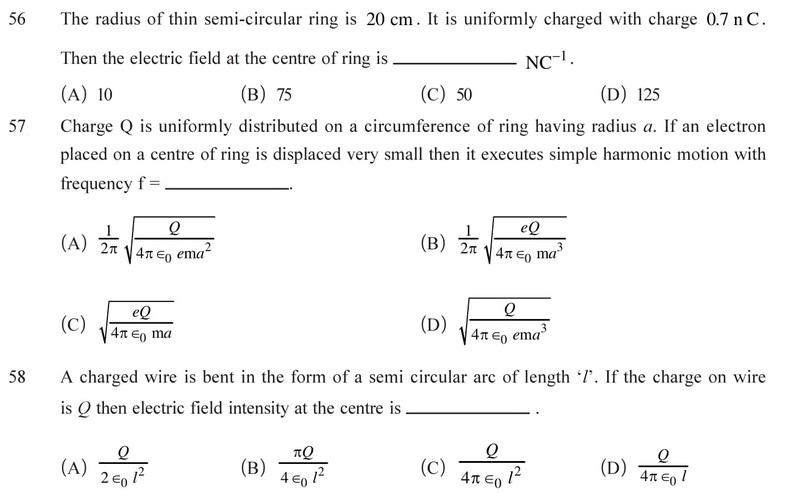 See Answers. If you want more questions, Click here.